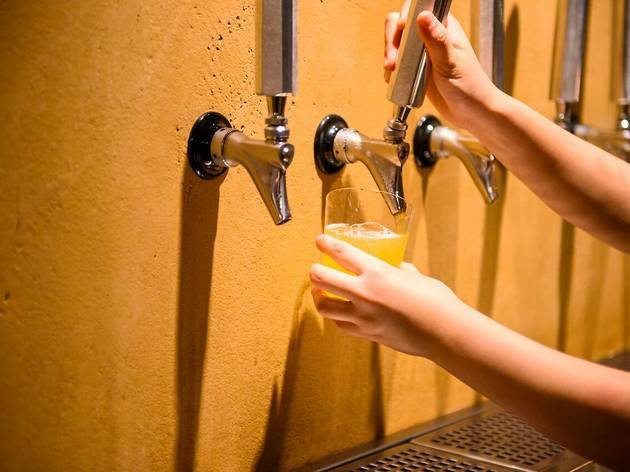 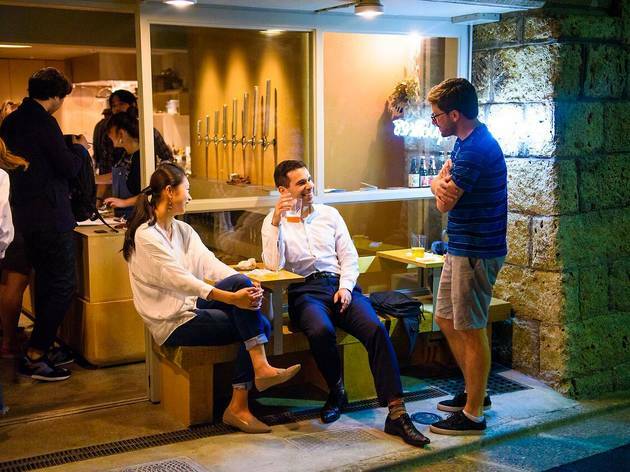 The sister shop of Kyoto-based craft beer and sake bar Before 9, Another 8 landed in the capital in April 2017, opening in posh Meguro in a space that used to be a garage. 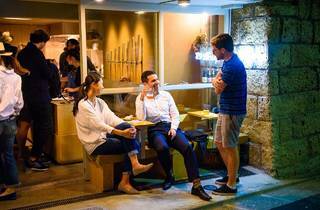 A place for laidback drinking, it’s got tables and benches both inside and out front, in addition to a stand bar that tends to get very crowded on weekends. 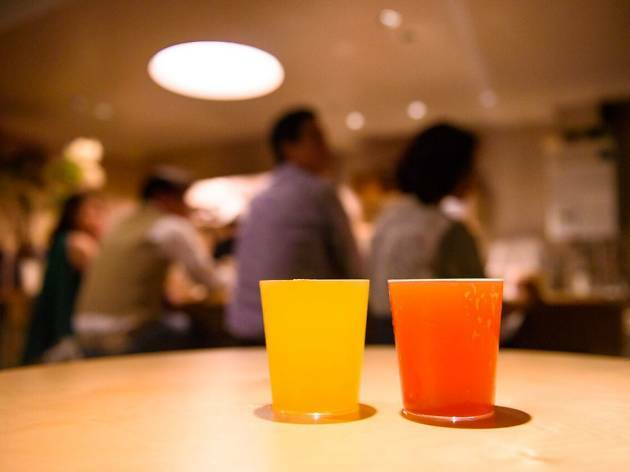 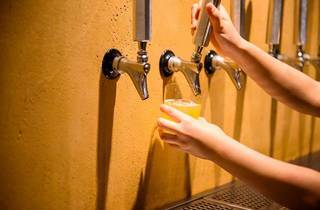 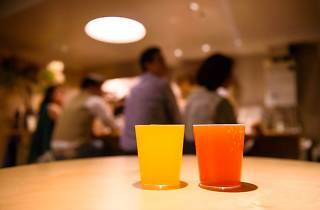 Although beer is the speciality at Another 8 – the place is equipped with eight taps – there is also a small but very nice selection of sake. 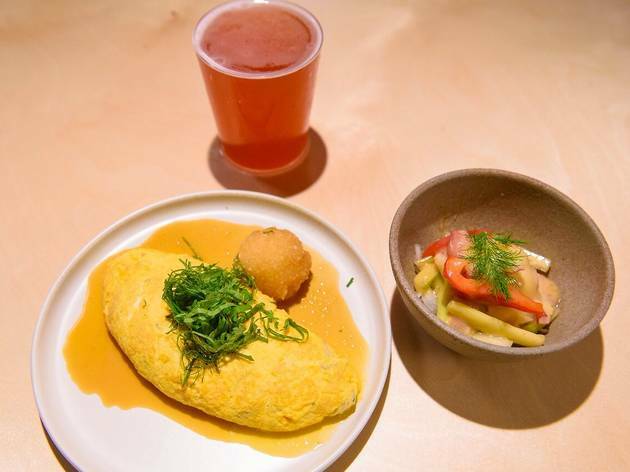 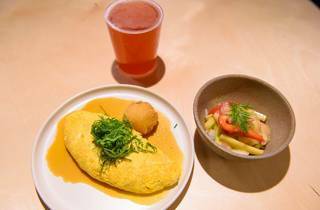 The bar snacks are pretty good too – we’re big fans of the marinated octopus and celery, while those looking for something more substantial will want to try the shirasu (whitebait) and daikon omelette.